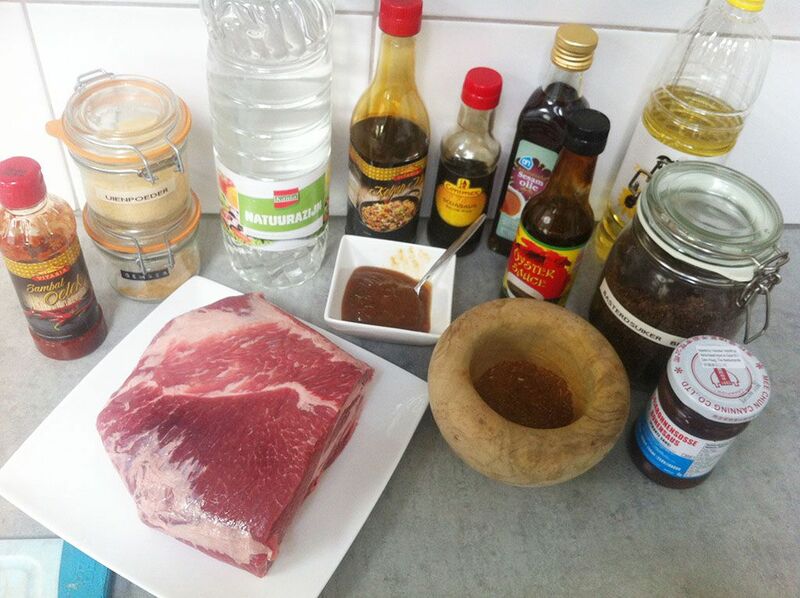 Big thanks to our family member Paul Cranen for letting us try out this amazing recipe for home-made babi panggang! 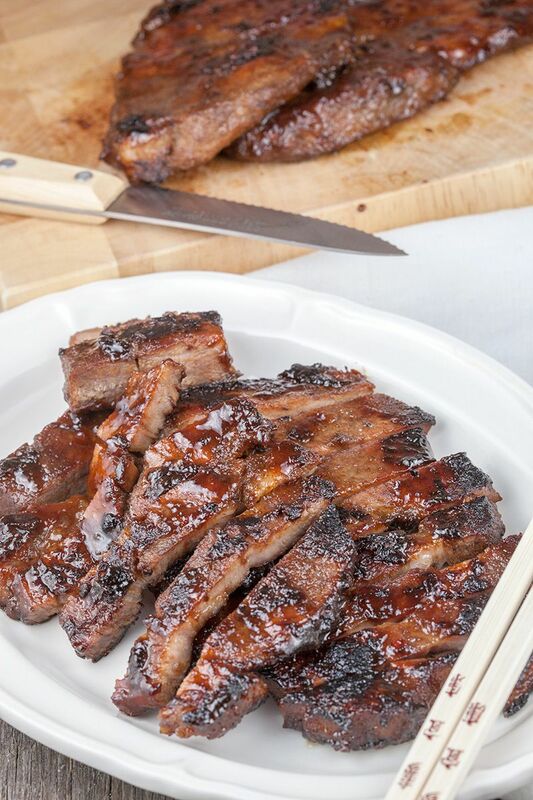 This recipe also goes by the name of “Char Siu”. MIX the ingredients in a large bowl using a whisk until nicely blended together. SLICE the procureur lengthwise into not too thin chunks. CUT the pieces crosswise about 1 cm thick, keep 1.5 cm in between. PLACE the chunks of meat into the sauce / marinade for at least 1 day. Preferably two days, cover the large bowl with cling film and place the meat in a cold zone of your refrigerator. After a few days, the meat will have absorbed the flavors very well into the meat. REMOVE the bowl from your refrigerator and let it sit for an hour to bring to room temperature. GRILL the meat using a grill pan or oven + grilling rack. 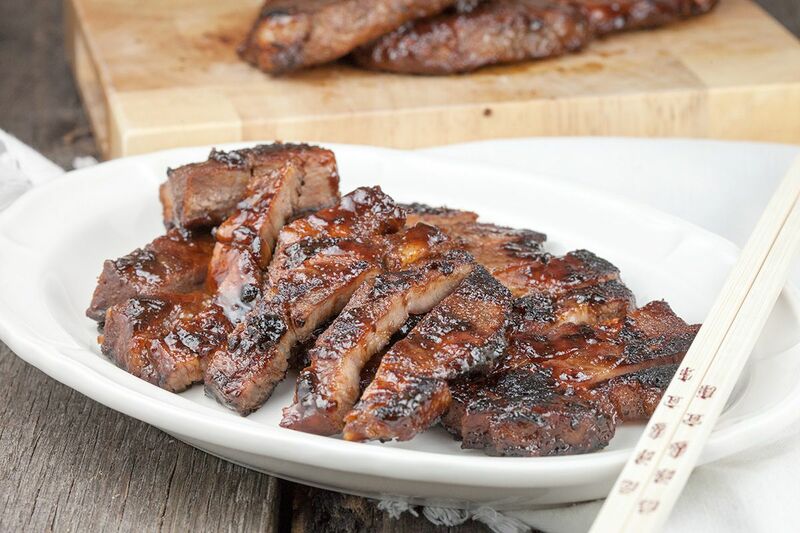 It’s also possible to use your BBQ for this. GRILL for about 20 minutes on high heat. Baste the meat while grilling once or twice with the marinade. When the meat is almost done about 5 minutes beforehand, coat each side with maltose syrup or sugar syrup and grill both sides for 2.5 minutes, or until nicely browned. Be careful when handling, the sugar will be piping hot! You can make your own sugar syrup very easily by dissolving sugar with a ratio of 3 to 1. For example: 3 tablespoons of sugar must be dissolved in 1 tablespoon of water. Slice pieces of meat into long strips when the meat has been browned nicely. Serve with white rice and cucumber salad, enjoy! The combination of flavours must result in a delicious piece of pork. 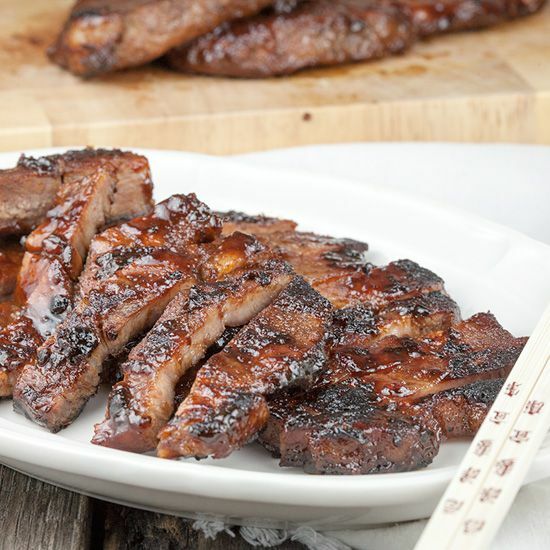 I’d love to give it a try as my previous attempts at char siu have been disappointing. We were so glad our family member Paul gave us a proven recipe for us to try, since he also had trouble getting it as expected. Try it out and let us know what you think :).